Fast flowering photoperiod-dependent version of one of the tastiest strains from the Sweet Seeds® catalog, Crystal Candy® (SWS58), awarded with the 1st Prize for the Best Indica at Spannabis Champions Cup 2017. Crystal Candy F1 Fast Version® (SWS73) is the resulting hybrid from the cross between our Crystal Candy® and a selected genetic line of Sweet Special Auto (SWS35). This version features the curious and exquisite sweet aroma, reminiscent of strawberry chewing gum or candy shop, that turned the original Crystal Candy® into an extremely appreciated strain. This strain is a prominent high producer of big aromatic resin crystals that totally cover the flowers and their surrounding leaves with a high density of large big-headed trichomes. 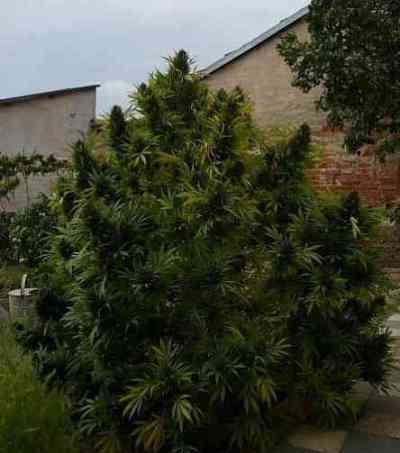 It is possible to obtain extractions of exquisite quality and incredibly pleasant aroma from the buds of this plant.